It seems our little furry friends have returned. Remember this face – one only a mother could love? 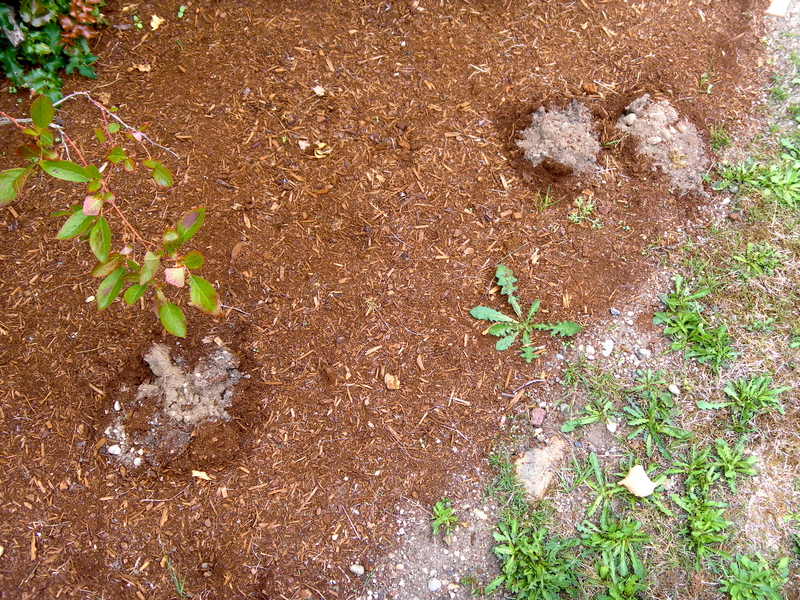 Back last February Delores next door was battling moles in our lawn very diligently. She and Bob went on their annual trip to Hawaii in March and no moles showed up to drive her crazy when she came home. So things have been quiet – until 2 weeks ago. 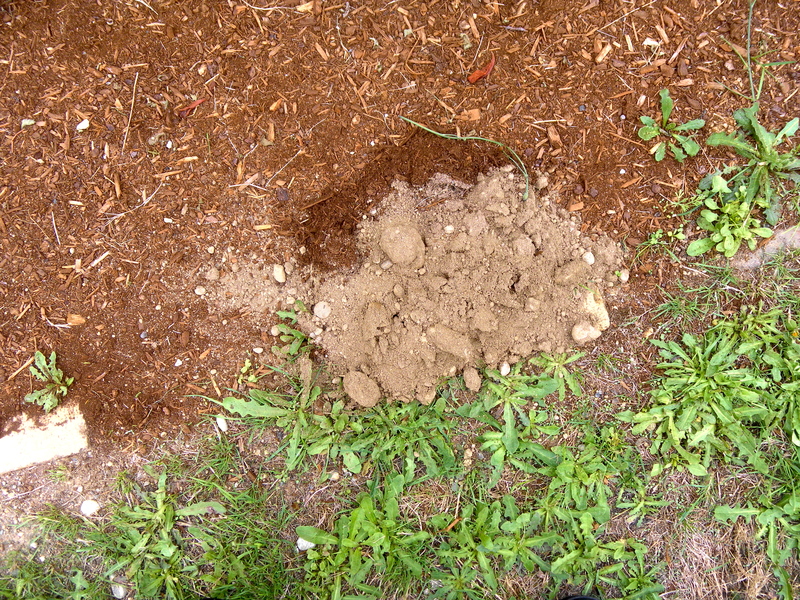 Eddie found mole piles in the bed by the garage and now the flowerbed by the back porch. We also have weeds coming up no matter what we do. 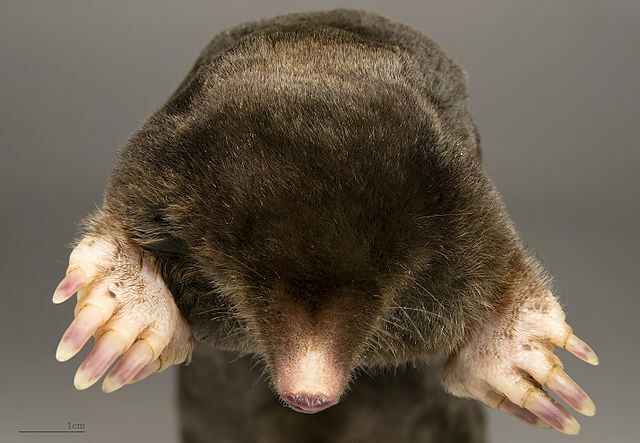 I thought the moles were gone, but they only were off somewhere on their summer holidays. Now it is back to work, no more frolicking in other places. Too bad they didn’t decide to move there, there are several who would have happily wished them Bon Voyage with hoopla, knowing they would not return. They and Mother Nature had other plans. 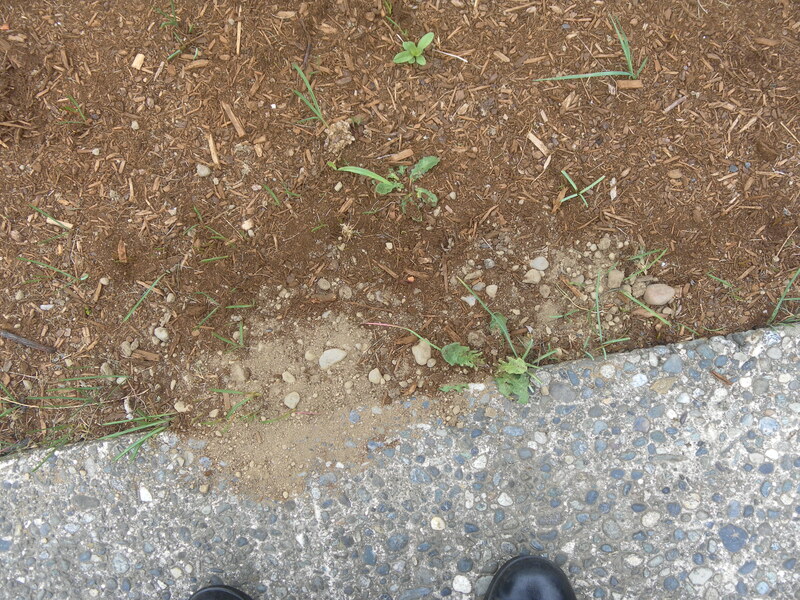 This is by the back porch – my toe is in the picture. They seem to like the new mulch better than the grass. They have been quite busy lately, not satisfied with one mound, they do several at a time. Who knows, maybe it is triplets just learning the trade under Mom and Pop’s training. I wonder if this one was made by Pop, the head of the clan. He must be a big bugger. 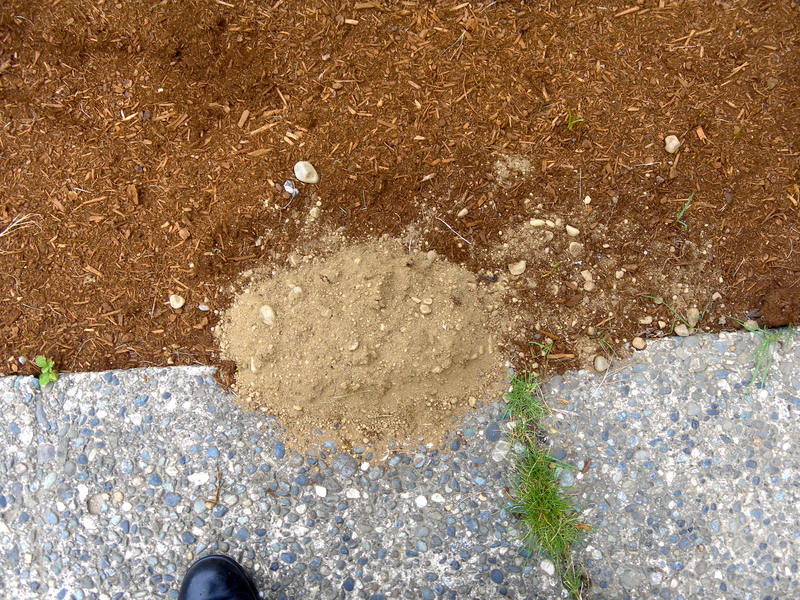 The one on the left was the first one, and I think Eddie took the shovel and hit it, or maybe just stomped it so it was level again. The one beside it is a little newer. Looks like Pop has been at it again – no flowerbed left behind. 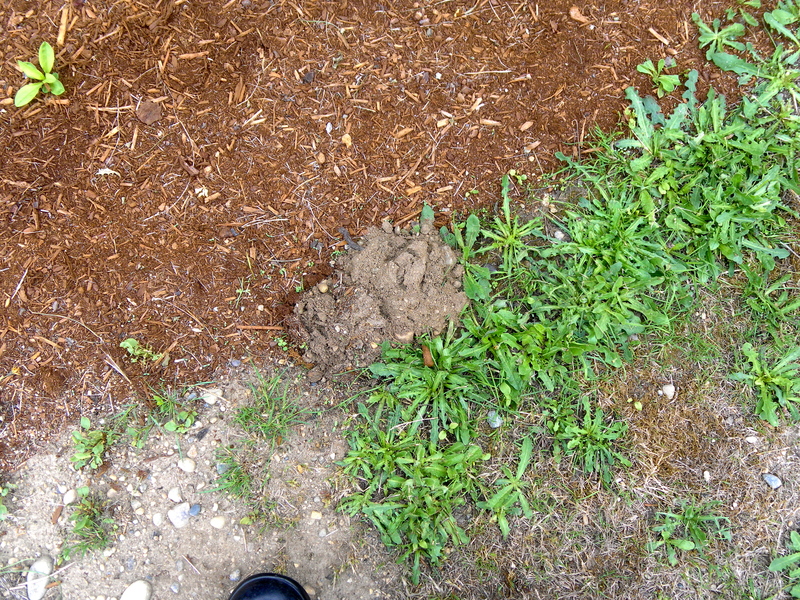 This is along the garage and the cement path – I had to take pictures before Eddie took care of them. 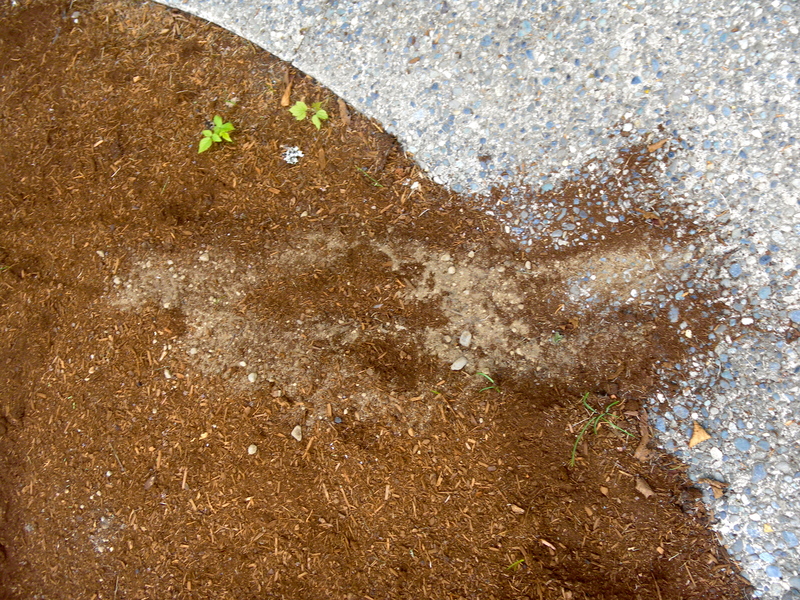 This is what happened when the latest incarnation of Mr. Dinh did when he mowed the dandelions and edged the walk. Hmmmm, maybe I should take a few pictures of “after” since I already have “before”. No story is complete without a beginning and ending. They have predicted thunder storms today – so far just thunder and lightning but I am not going out to take pictures and get wet. That is for another day. 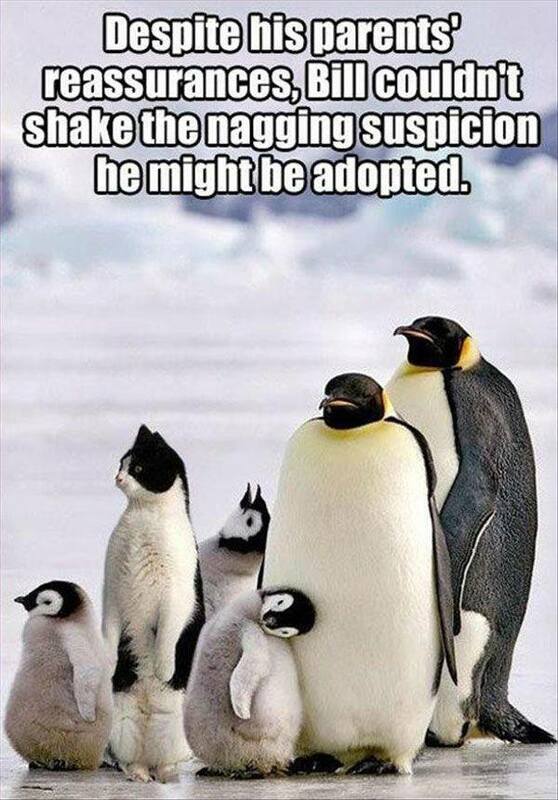 Instead, I found this one on Tracey Warren’s Facebook page and loved it – I was chuckling over it for quite a while. I think it’s the best way to end this blog. This entry was posted on September 15, 2013 at 3:52 pm and is filed under Musings. You can follow any responses to this entry through the RSS 2.0 feed. You can leave a response, or trackback from your own site. I love it. Big chuckle here too. I’m so glad you enjoyed it – it’s fun to share with other people who understand my sense of humor.